(NaturalNews) It has come to our attention that one of the world's foremost voices on vaccine science is being targeted by one of the most aggressively hateful "skeptics" groups in the world. Board-certified osteopath Dr. Sherri Tenpenny, a prominent educator and lecturer on the dangers of vaccines, was recently threatened with the possible removal of her Australian visa simply for being asked to speak at a handful of events across Australia about vaccines. According to the Next News Network, the so-called "Vaccine Skeptics Society" launched a vicious campaign against Dr. Tenpenny after members of the group found out that she had been invited to speak to concerned parents in Australia about vaccine safety. Knowing her position on the subject, the Vaccine Skeptics Society riled up the media with lies about how Dr. Tenpenny was planning a speaking tour to convince people not to vaccinate their children, which wasn't the case. The plan was to tarnish Dr. Tenpenny's reputation in order to get her uninvited from these various speaking engagements, and it may have worked. Reports indicate that the alleged speaking tour is now in limbo while Dr. Tenpenny waits to hear about whether or not her visa will remain valid. In the meantime, the alternative media is coming to her defense in decrying this blatant assault on free speech. "It was not my design to come there and set up this speaking tour," said Dr. Tenpenny. "It's just been the result of the pro-vaccine lobbies in Australia [which] have decided that the people of Australia are not entitled to free choice, and if they are entitled to free choice they can't do it based on any information that I might give them." 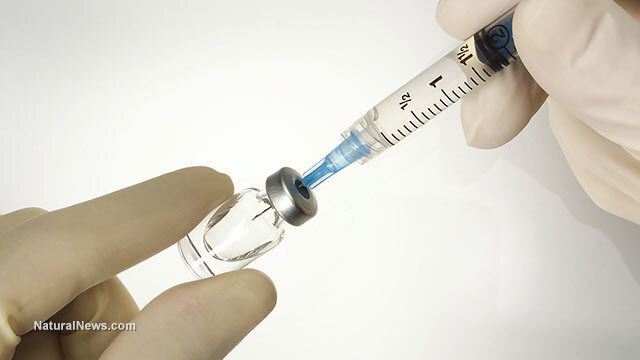 Taking issue with accusations that she is "anti-vaccine," Dr. Tenpenny told the Next News Network that all she's been doing over the years is telling people the other side of the story about vaccines -- that they come with immense side effects, especially when administered so frequently and in combination with other vaccines. On her website, Dr. Tenpenny publishes up to 20 new scientific reports weekly that draw attention to confirmed vaccine dangers. And her sources aren't crackpot conspiracy websites -- they're conventional medical journals and other respected sources that are also used by the "skeptics" to back their own claims that all vaccines are perfectly safe. "Nobody that's involved in this is 'anti-vaccine,'" says Dr. Tenpenny. "What we really are is pro-informed choice and pro-education." The pharmaceutical industry, she says, routinely downplays the risks associated with vaccines, despite the fact that their own data show considerable risks. This is further evidenced by the fact that the kangaroo court for vaccine injuries known as the National Vaccine Injury Compensation Program has, to date, paid out more than $2.5 billion for vaccine injury claims. "The public health side of the equation should be more than just high vaccination rates and low infection rates of a very short list of contagious diseases," contends Dr. Tenpenny. "Public health should also take into consideration the risks of ADD, ADHD, insulin-dependent diabetes, all these autoimmune diseases, a long list of neurological conditions that we seem to be missing the point of. Is there a connection? I maintain... that there is a connection because I've seen it published in the medical literature."